The Montessori Preprimary classroom is a wonderful place. Little ones have a safe and fun environment to start to learn about the world. During our day the children will grow and learn using the Montessori materials. They will learn how to share and care for others in our daily routine of class time, snack time, outdoor play, music and lunch with friends. Children who stay after 12:00 p.m. will rest and arise to have more outdoor play and special afternoon classtime and activities. 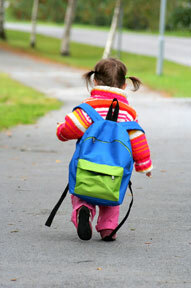 Our little learners can start school when they are 18 months old or older. We are happy to assist them in learning how to toilet independently along with many other personal care skills that these growing learners will want to know.